Language courses are often the first international experiences that children and teenagers have without their parents. They are a chance to make friends with fellow participants from around the world, to experience a new culture, and, above all, to practise and improve their English skills. Many teenagers return home not only with much improved English, but also with a new-found confidence and independence. The English teachers excite and motivate the students and this, combined with the desire to communicate with other students, makes English an everyday tool. English is not only taught during class time; it is also the language that the leisure programme is conducted in and the language spoken in the host families and student residences. Students are completely immersed in English throughout their stay. Besides the language proficiency, the ages of the course participants are also considered when the classes are formed. In addition to that, the age differences will also be considered during the social activities programme. A variety of sport and leisure options is offered additionally to the different excursions. Especially in the boarding school offers, you have the opportunity to choose a specific sport option like football or horse riding. The costs are usually higher than the prices for adult courses, since the mentoring is much more intensive and the social activity programme is included. The language courses can take place in most of the holiday seasons, e.g. Easter and summer. The boarding schools offer a variety of sport and leisure facilities on campus, which is the reason for the higher price compared to the accommodation in host families. Host family or student residence? Both options have their advantages: in a host family, the students get to speak English in a relaxed atmosphere. The families are chosen in regards to strict criteria and have to fulfil different safety rules, as well as show their criminal record certificate. The host families care for their guests and do not only see it as an opportunity to gain money. They have to fulfil different criteria depending on the student’s age group. At the boarding schools, the teenagers will be accommodated in rooms of 4, 6 or single rooms and allocated according to their age. The distance to the school is short, since the student residence as well as the school building are located on the same campus. The campuses are often closed districts and offer diverse sport and leisure options. Regarding the aspect of security, there is no better accommodation option. Our daughters quickly felt at home. They really enjoyed going to the language school every day – unlike when they’re in Germany – even though it was during the school holidays! Many thanks to English in Britain for the smooth and brilliant support in the selection of a language school, it was very helpful and is absolutely to be recommended. This was our sons' second visit to the language school. The school understands perfectly how to communicate language skills in an unforced manner; it is also very flexible in the case of unforeseen events and makes anything possible that it can. The activities were well coordinated to the needs and interests of the students. The host family treated him like a family member and he is still in touch with his host mother. I have to praise you highly for the excellent consultancy and preparation of the language trip. Even the communication beforehand was outstanding. It is a really pleasant experience to rely on the judgment of people rather than getting lost in the chaos of the internet. After 14 days we picked up a very happy child with many new experiences, directly from the campus. The language school has an outstanding approach and a good combination of excursions and lessons. Many, many thanks for your support. Our daughters really enjoyed their stays in Oxford and Cambridge. They would overall grade it with an A. The teachers were good, and so were the families and lessons. Our daughter definitely wants to go there again next year, which speaks for itself. Your preselection regarding the schools was outstanding. You and your employees always took your time to answer my questions, no matter how difficult they were. 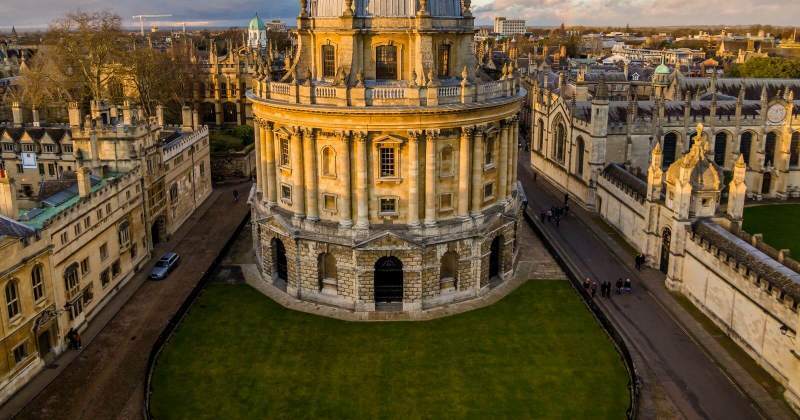 My son was in Oxford during the Easter holidays and he really enjoyed it. High level of professional standard. The accommodation in the host family was exceptional as well. I was surprised about how much fun English lessons can be, in contrast to the rather monotonous lessons in Germany. In the language school you work in small groups, where the teachers adjust to the needs of the students, rather than the other way round. In my one-to-one lessons I could precisely work on my problems, and now have received all the assistance I needed for my Abitur exam and which the German teachers could have never given me. I recommend every student that wants to improve their English skills to do this language course, because it is the exact right one! My daughter participated in a language course with golf coaching and was delighted in every aspect and only wanted one thing: To go there again the next year. The atmosphere among the students and with the coaches was ”super cool”, to say it in her words. I was also satisfied with the consultancy and organisation overall/altogether?, everything was perfectly planned and organised beforehand and at the school. It was her first flight by herself and that is why consultancy, the organisation and reliability were very important to me. Altogether I can only grade everything with an A+. Many thanks. Our son was in a football camp and totally delighted. After one day at home, he preferred to go back again. For Moritz it was a great experience and the exact right programme!!! He is still in touch with a lot of the boys from camp through social media and they want to try and meet up there again the next year. The feedback for my daughters stay is quickly done. My daughter was highly enthusiastic. We only heard the best from the school. Our daughter really made progress. The horse riding was her highlight. Overall there were great horses, outstanding instructors and beautiful rides on the beach. Your consultancy for the planning of the journey was really exceptional. In our case Mr. Wolfgang Stein was always available and advised and assisted us. That really helped to calm us beforehand. Most language courses take place during school holiday periods, but some courses run throughout the year. There are generally two options for accommodation: either in an English-speaking host family or in a boarding school environment where the rooms must often be shared with other international students. Courses are offered for groups aged between 3 and 18 years old. Both language proficiency and the ages of the students must be considered when forming class groups. 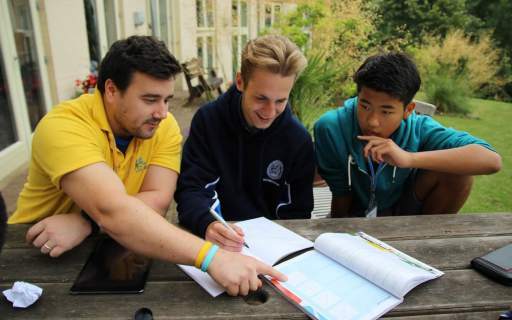 Excursions, sports and leisure programmes are available to complement the English lessons. 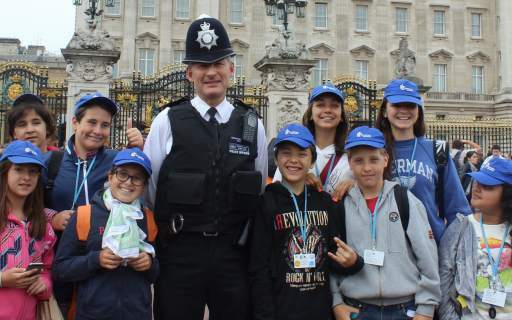 Intensive holiday courses are available, but it is important to make sure that the students have time to experience and enjoy the English-speaking country alongside their lessons.